Happy Monday, everyone! It's happy because it's our last week of home school, before we take off for our Christmas holidays! Hopefully I can survive and find things to keep the kids occupied for two whole weeks! 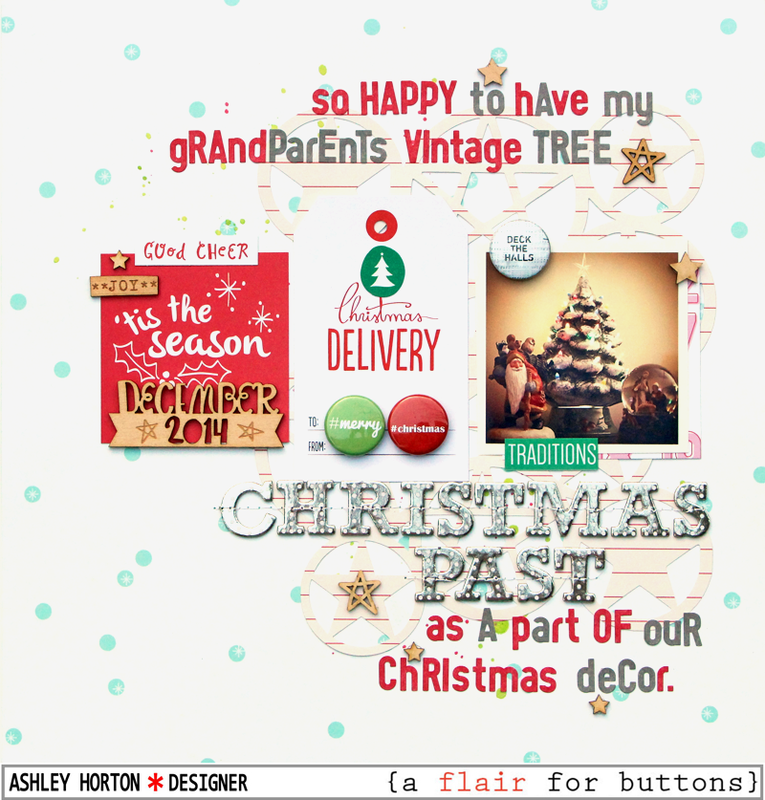 I am stopping in today, to share a new layout with you for A Flair for Buttons. I'm sure that all of us have special ornaments from our past, that we hold near and dear. I recently aquired the Vintage ceramic Christmas tree, that was one of my favorite decorations displayed in my grandparents house each year. I am so happy to have received it, through a strange string of events. It is now displayed in our home, and I wanted to document it on my layout today. 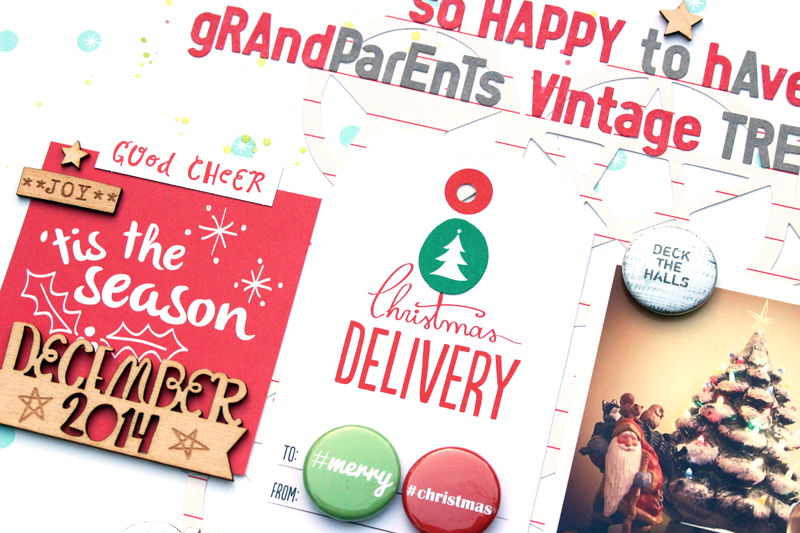 I thought it would be fun to use a modern twist with my Vintage Christmas decor, and use the Hashtag Winter Flair, as well as the Holiday Words Flair. 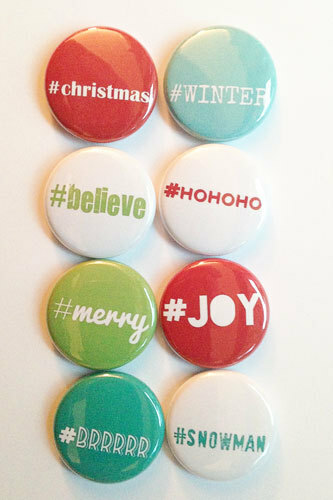 I thought it would be fun to put the #Merry and #Christmas Flair Buttons together on the American Crafts tag. And the Deck the Halls Flair was perfect for the theme of my photo. 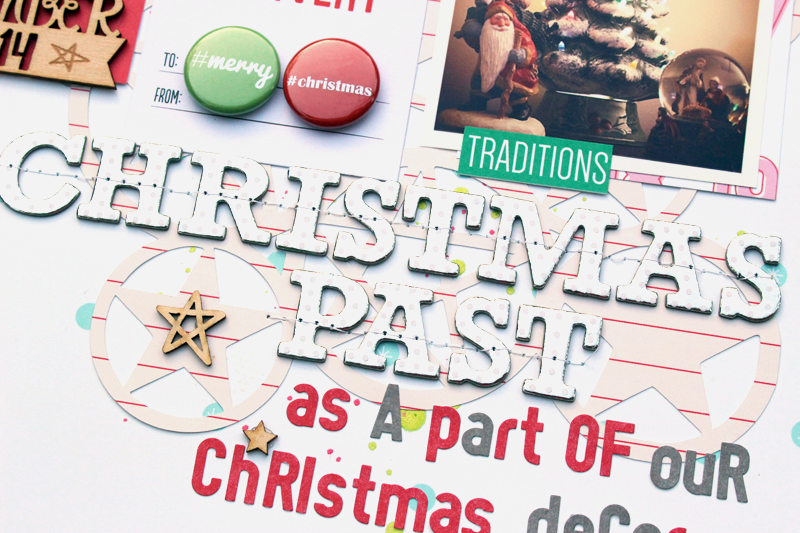 I also used the Make It Merry cut file from The Cut Shoppe, to add some layering behind my photo, tags and embellishments. 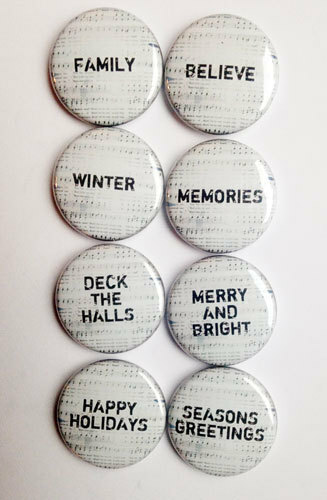 You can check out both of these awesome holiday Flair sets in the A Flair for Buttons Etsy store, along with lots of other great Flair!